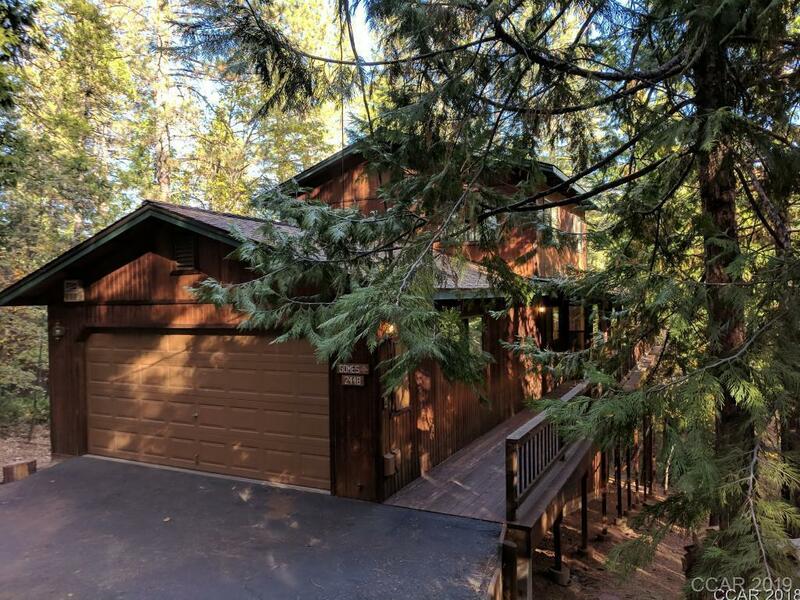 Enjoy the Mountain Life in this classic open loft Chalet! Private and richly wooded lot. Cabin was built in 1992 and been lovingly cared for by its owner. NEW ROOF just installed, new exterior stain, New Tile flooring and new kitchen appliances. Master bedroom on main level with a loft and two additional bedrooms upstairs. Attached 2 car garage and HUGE sub area which could easily become an additional game room...future stairway possibility is available. Directions: Moran Rd To Flanders To Rt On Douglas, Rt On Murphys Drive, Left On Avery, Right On Mokelumne Drive East And Right On Chamonix. Home Is On Right. Inclusions: Some Furnishings Included Subject To Sellers List Of Exclusions.